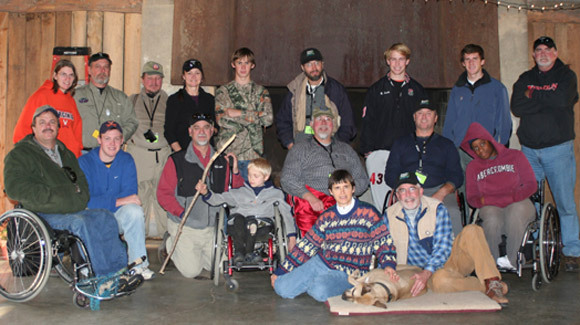 For more than three decades, Therapeutic Adventures, Inc. has been developing innovative programs and specialty services to provide greater access to the outdoors for persons with differing abilities. TA supports individuals and families, helping them to make positive lifestyle choices in the outdoor environments where adaptive adventure activities are offered and enjoyed. Therapeutic Adventures, Inc. has a strong background of excellence which has evolved out of the extraordinary works of Erling Stordahl, founding father of the world famous Beitostolen Healthsports Centre in Norway; the highly honored and acclaimed Sir Ludwig Guttman, founding father of wheelchair sports and the First International Disabled Olympic Games at Stoke-Manville, England; the distinguished Dr. Kurt Hann, founder and driving force behind the highly reputed Outward Bound Program, and highly respected Dr. Larry Brendtro, Dr. Martin Brokenleg, and Dr. Steve Van Bockern who have developed the extraordinary – Circle of Courage Model. The inspiration of these individuals and their common vision has influenced the services we offer. Therapeutic Adventures, Inc. has developed a unique and integrative approach to instruction using: our IndependencePlus Model, our Adaptive – Circle of Courage model, and our Adaptive Outdoor Skills Mastery System. Through our unique approach to teaching, coaching, guiding and mentoring, we embolden our adaptive students/clients to set goals and to strive for functional independence. Our belief that ALL persons learn and benefit by being provided with opportunities to develop self-awareness, self-confidence, and self-reliance – has provided Therapeutic Adventures, Inc. with a proven framework for success. A natural extension of our mission, Therapeutic Adventures, Inc. is pleased to provide additional adaptive sport and recreation opportunities through our Paralympic Sport Club – Blue Ridge~Shenandoah and Team River Runner – Blue Ridge~Shenandoah Chapter.